The driver of the car, an older friend, was a learner driver and unaccompanied. 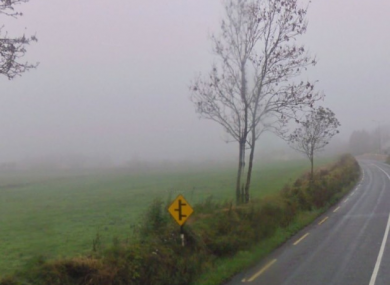 A TEENAGER WHO died when she was ejected from the car in which she was a front seat passenger as it plunged into a low-lying field on the Cork-Kerry border had not been wearing a safety belt. Caitlin Taylor (14) had taken off her seat belt when she dropped her mobile phone in the front car well, and had not re-fastened it, the Circuit Criminal Court in Tralee was told on the second day of the trial of a woman for driving without due care and attention. The driver of the car, an older friend, was a learner driver and unaccompanied the trial before a jury of seven women and five men heard..
Caitlin of Gouldshill, Mallow, Co Cork, who would have been 15 on 24 June, had asked her friend Sarah O’Connell, then aged 20, to drive her to Scartaglen that Sunday evening when they met in a shop in Mallow, Ms O’Connell had told gardaí. They left Mallow around 9.30pm and were 60km into their journey and just 5kms from Scartaglen when Ms O’Connell failed to take a bend, went over a ramp-like mound and the car dropped two metres into a low lying field before tumbling a number of times and ejecting Caitlin. O’Connell was a learner driver, did not have L plates, was unaccompanied and had been driving around eight months at the time. The trial was told that her car was taxed, insured and in condition and she had not been speeding. O’Connell, of Sean Moylan Park, Mallow, Co Cork, denies a charge of careless driving causing the death of Caitlin Taylor in June 2014. Caitlin was found 20 feet from the badly damaged car, the front windscreen alongside her. She had died immediately from a fractured skull and an upper spinal chord injury sustained in the accident which occurred around 11pm, according to the autopsy findings of assistant State Pathologist Dr Margot Bolster, read to the jury. Caitlin’s family left the court during the pathologist’s evidence. Neither woman had alcohol or drugs and it was most likely that O’Connell had also not been wearing a safety belt at the time, the trial was told. Also in the car was Sophie, the 18-month-old daughter of Sarah O’Connell. She was found, unharmed, and still strapped into her booster seat around 11.30 pm. The Yaris had been travelling in or around the speed limit of 80 km an hour, and Ms O’Connell had not been breaking the speed limit, Garda investigators had deduced. O’Connell suffered fractures to her lower back, her shoulder was dislocated and she and Sophie were taken by ambulance to Kerry General Hospital. O’Connell’s prepared statement and subsequent interview of August 2014 were read to Garda Declan Leader by prosecuting counsel Tom Rice. She had gone by appointment at Mallow Garda station in August. Ms O’Connell said she remembered how Caitlin had taken off her safety belt to retrieve her phone which had fallen and had not put her safety belt back on. She had known Ms Taylor for two years “she hangs around with the same people” as herself, Ms O’Connell said. They Sunday evening when she went to Foley’s shop in Mallow, she met Caitlin Taylor. “She wanted a lift to Scartaglen. She said she wanted to meet a fellow. She did not tell me who he was,” Ms O’Connell said. They had stopped in Ballydesmond when Caitlin said she wanted to put on make-up. Before the accident, Caitlin’s phone had rung and she had dropped it. She took off her belt to retrieve her phone and had not put the seat belt back on before the accident which happened very soon afterwards, O’Connell said in her statement. She believed she had hit a pothole but was not certain. Closing speeches are being heard and Judge Thomas O’Donnell is to charge the jury today. Email “Teenager killed in crash wasn't wearing seatbelt because she dropped her phone, court told”. Feedback on “Teenager killed in crash wasn't wearing seatbelt because she dropped her phone, court told”.